Seen as I am basically already an unofficial Netflix hype girl, I was more than happy when Heather @Frozen Books Blog tagged me to do the Neftlix Book Tag! I am so pumped to answer some questions! Let’s get started!! Coincidentally, I have another tab open with the not yet finished review for this book and that is Dear Martin by Nic Stone! It wasn’t an easy read, but a necessary one that I absolutely loved. The actual review should be up soon! 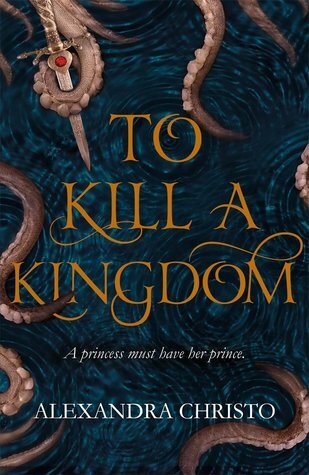 Uhm, this is actually a tough one … I am currently reading To Kill a Kingdom and on the cover it says for fans of Leigh Bardugo’s writing – does that count? I am going to say it counts, just because in addition to liking Leigh Bardugo, I also ADORE siren and pirate stories, so it would make sense as a recommendation anyway. Technically that was also Dear Martin, but since that’s a boring answer, I am going to go with the last book that was delivered to me aka the last book mail I got. And that is the movie tie-in from The Guernsey Literary and Potato Peel Pie Society. Please don’t kill me for not having read HP, but it’s just not going to happen anymore. 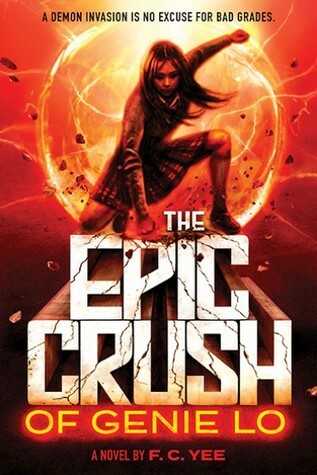 For some reason, I tend to gravitate more towards sad books, but The Epic Crush of Genie Lo is definitely a book that has had me laughing out loud a couple of times. 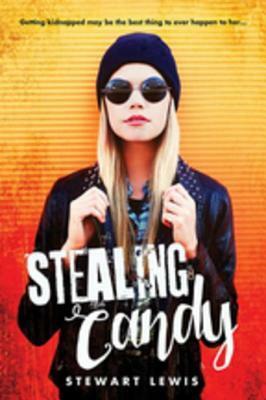 I don’t know why this book came to mind, but Candy from Stealing Candy basically enjoyed being kidnapped and decided one of her abductors was hot? So … she scream drama queen to me. Cartoon may be an overstatement but I do love the illustration on We Are Okay. It is so freaking beautiful and I am in love with the imagery and the colour scheme just as much as I love the story. Sooooo … I have said this a lot already, but I do NOT re-read. However, sometimes I go back and check on certain paragraphs and quotes and I have done that the most for Call Me By Your Name recently. I actually struggled to choose a book for this particular question. Born a Crime is a fantastic book that I would definitely recommend, but in the end I want to go with Quiet by Susan Cain, because I think it’s just more generally applicable. It touches upon the differences of introverts and extroverts and how we can understand each other better. I absolutely love it! ACTION AND ADVENTURE: An action packed book. My first thought here went to the Wolf by Wolf duology! It has a bike race, deceit and high stakes – if you don’t call that action-packed, then I don’t even know. There’s a lot of books I am excited to get my hands on this year. I feel like we just get better and better content each year (with a couple unfortunate exceptions), but Leah on the Offbeat has been on my list for probably the longest time. As always, don’t feel obliged to do the tag if you don’t want to! And let me know your thoughts on my answers in the comments below! I can’t wait for Leah on the Offbeat! Right? It’s going to be so awesome! I’m really glad you liked Dear Martin and I’m looking forward to your review 🙂 And I’m glad you’re reading to kill a kingdom- I just read it and loved it! I think it’s fair enough to have not read popular things- and Vampire Academy isn’t worth it anyway (although I kinda missed the boat on it and read it much later and wasn’t into it). Great answers! Dear Martin was great, even though I am struggling with the review. But I will make it work eventually. To Kill a Kingdom is SO awesome! I can barely put it down ❤ but sirens and pirates, it's not really a surprise. I kind of liked the Vampire Academy as a sort of guilty pleasure (and because I like Zoey Deutch), but since that never continued, I was just sort of over it. Ah fair enough!! Ahhh I’m so glad!! That’s exactly how I felt about it!!! 😀 fair enough! I haven’t read Stealing Candy but I love your answer for that one! Too funny! This is siick and everything I love boiled into one tag 😂 To Kill a Kingdom and We Are Okay look really interesting!! And I can only recommend both books whole-heartedly. They are awesome in their own different ways! Oh wow, the Wolf by Wolf duology sounds amazing! How was that not already on my tbr? Well, it is now! 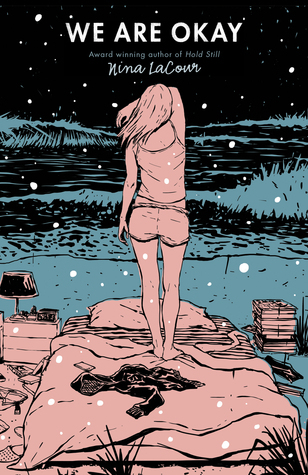 I love the cover for We Are Okay, it’s beautiful and it has the best color scheme – it just pops. I apparently have like 5 books I am known for recommending all the time and Wolf by Wolf is one of them! The use of the German language is abysmal, but I adore the story. And We Are Okay has very little plot and is mostly character driven, but I like everything Nina LaCour writes. YES, I know you’ll remember it. by the time I get new books, I will have completely forgotten about it. You know me and my memory hahaha. No, I didn’t. I only pre-ordered Restore Me and Iron Gold. Right? All the better that it’s also a good book inside. I can’t find anything useful at my libraries, but that is a real smart way to go about it! I had more than one fail when I bought book boxes. I can’t believe I still haven’t read We Are Okay. I’ve had it on my shelves for a year now and I agree, that cover and the color scheme: so neat! I really want to get my hands on Call me by your name ASAP because omg everybody says it’s such a great read and I really want to read it before I watch the movie which is torture because I REALLY WANT TO WATCH THE MOVIE AHHHHH!!! I love everything Nina LaCour writes. This one is very character driven and slow, but still heartbreaking and beautiful. And I read Call Me By Your Name around New Year’s and it became my absolute favourite book of last year and is among my top picks of all time. I am not saying it is perfect, but the way it’s written is amazing! Hahaha I know, I know … but I am really not going to read HP. I grew up with the movies, the books weren’t a thing in my country back then and now I have no interest in reading them. It was just wrong timing. We Are Okay is on my TBR and the cover!! I’m so excited for Leah on the Offbeat and To Kill A Kingdom as well! I hope you’ll enjoy We Are Okay! It’s very slow and character driven but I liked it a lot. I totally have to agree, Sophie! I also liked how it didn’t make either introverts or extroverts sound bad, but really tried to just explain in what way each is different to the other. Yes 🙂 I think the two are different personality traits and the world needs a bit of both! I do love my Netflix! Thank you so much for tagging me, I can’t wait to do it 😊 Also I’ve been meaning to read Wolf By Wolf for a while now. Sounds pretty epic! Yay! I am glad the tag appeals to you and Wolf by Wolf is one of my favourite duologies. I hope you’ll get to actually read it. Great answers for this tag Kat! 🙂 I read the Vampire Academy series back when it was first released and can’t say I’d recommend it, I think my reading tastes have changed enough that it wouldn’t be as good now you know? Also I can’t wait for Leah on the Offbeat, and oh I loved the Wolf by Wolf duology as well. I really need to reread that because it’s been a while since I last picked up the series! Thanks, Beth! I watched the movie and thought I might enjoy the books after that, but then just never got around to it. Oh that’s a shame, but at least you can look past that and still enjoy the book though. The movie isn’t spectacular, but I am a sucker for Zoey Deutch. And then there’s always the fact that they never continued with it after the first one. Yeah, it was easier to ignore in Wolf by Wolf than Blood for Blood, but I just ranted about it very much in my reviews. Yeah I did hear that, kind of didn’t make me more inclined to watch it knowing there wasn’t another one. Obviously not gonna kill you for not having read Harry Potter haha :)) I’m just curious how that happened since the series is everywhere? Did the idea not intrigue you or did you just keep having it on the TBR? Hahaha I am a lonely outcast in terms of not reading HP, but I am just a little over it? I found out that there were books waaaay too late (like with movie 3 or something) and then my cousins just told me what was in the books in addition to me being obsessed with the movies. So, I felt like (and I guess I still feel like) I know all about it and reading it now would only be boring and that in turn would ruin my fond memories, you know? Haha I get that! I know so much about The Hunger Games that I never felt like reading the books or watching the movies. Haha yeah I’m not in a rush either – I have plenty of other books to read! 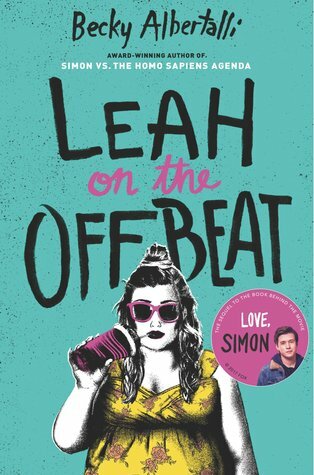 I have to admit that I still haven’t read Leah on the Offbeat haha but I just really want to read all of Becky’s books. I always find something to like. And of course I’ve seen all the Harry Potter movies! They are the reason I don’t want to read the books. I just saw the movies first and several times, so I didn’t feel like it would be fun to read the books. Yea it’s not because I’m not excited about the books. It’s more like other books get priority which for me are usually buddy reads and maybe library books. My TBR shifts a lot so there is a bunch of books still on my shelf left from years ago.